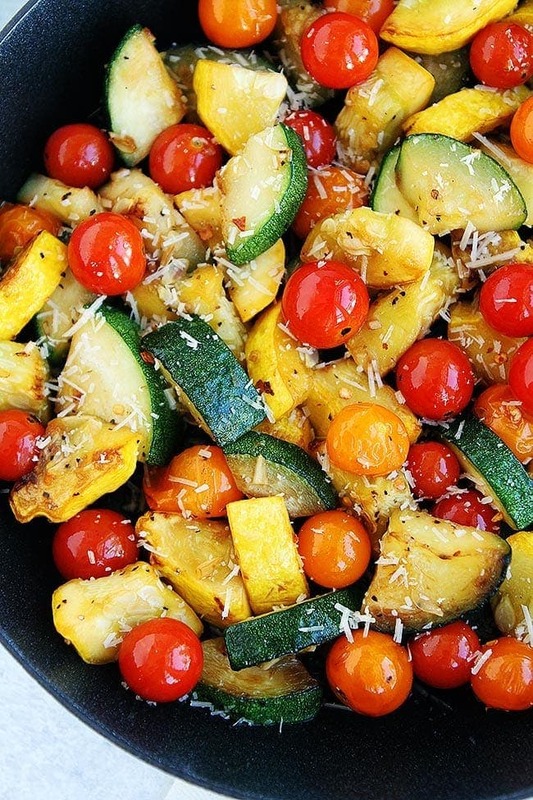 This easy one skillet Summer Squash Sauté is made with yellow squash, zucchini, cherry tomatoes, garlic, and Parmesan cheese. It is the perfect recipe for using up the end of the summer garden squash. Are you looking for summer squash recipes" If so, then today is your lucky day because I have an easy Summer Squash Sauté recipe for you. Our garden is overflowing with yellow squash and zucchini so I decided to put it to good use and make a simple summer squash sauté. This easy side dish goes great with any meal and only takes a few minutes to make. It is going to be one of your go to side dishes. Our family loves it and I think you will too!